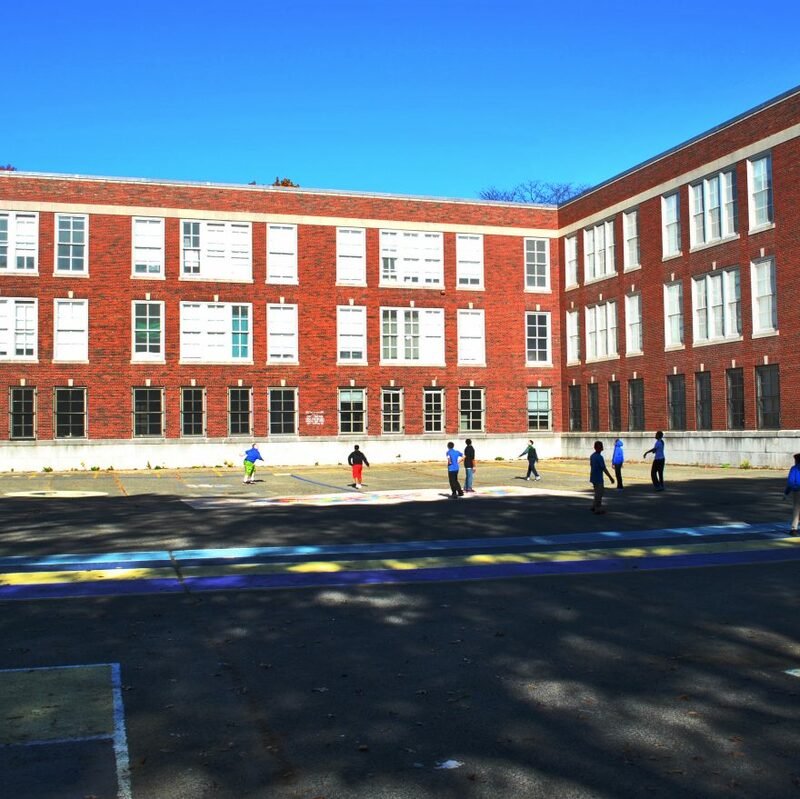 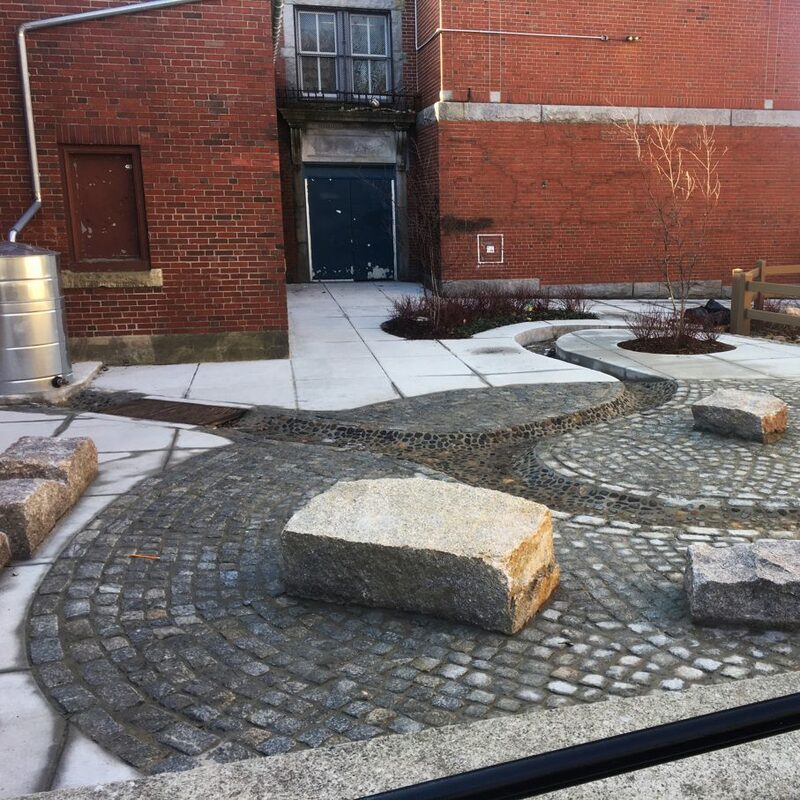 Transforming Boston schoolyards into stormwater classrooms has been one of our most rewarding endeavors! 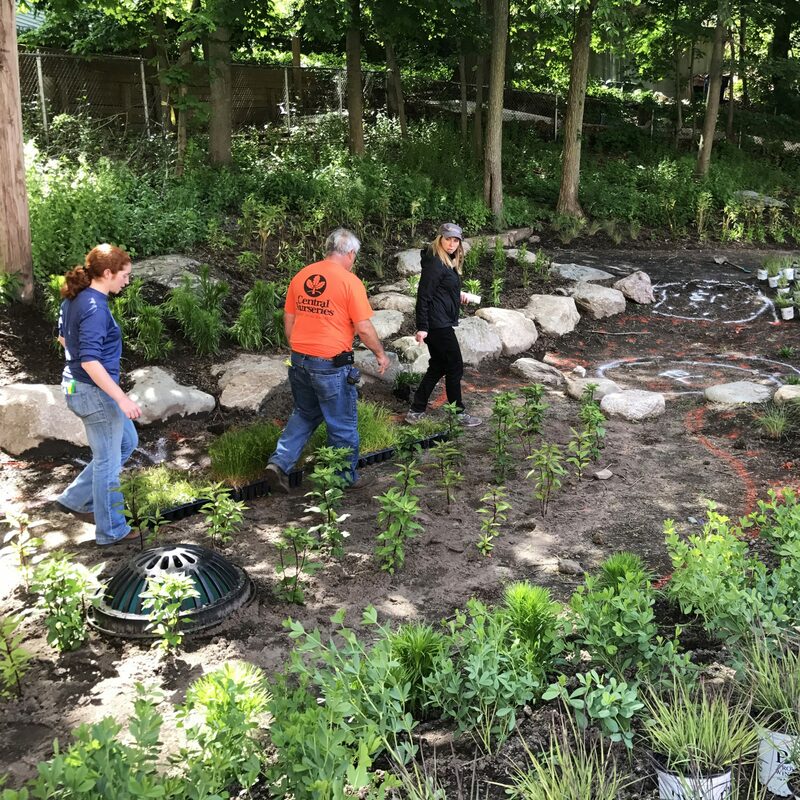 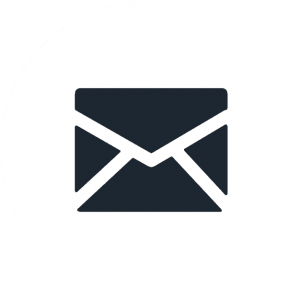 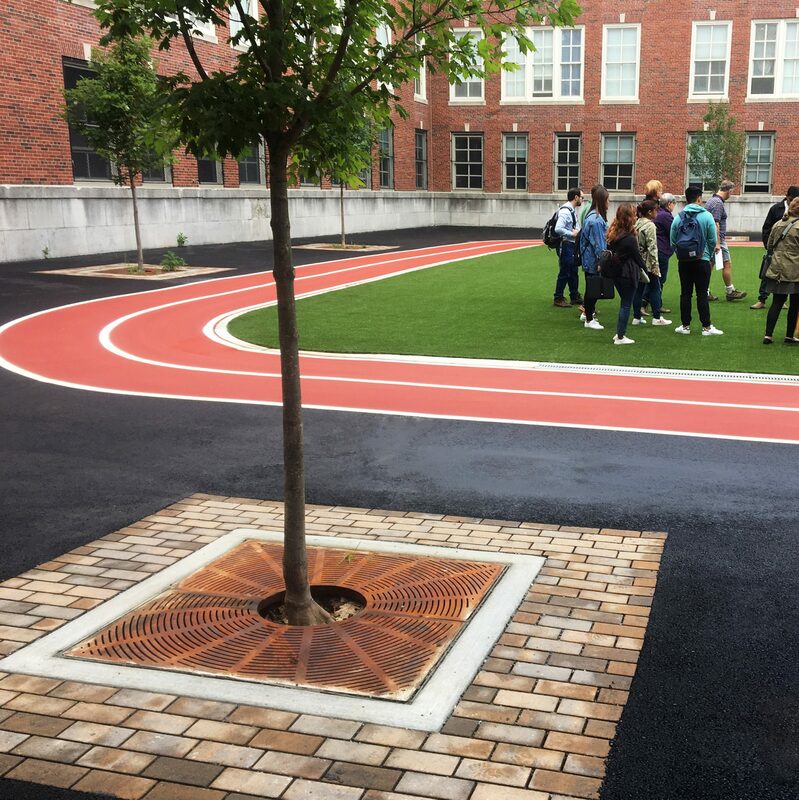 In 2015, we began a collaboration with the Boston Water and Sewer Commission and Boston Public Schools (BPS) to install green infrastructure at five schools. 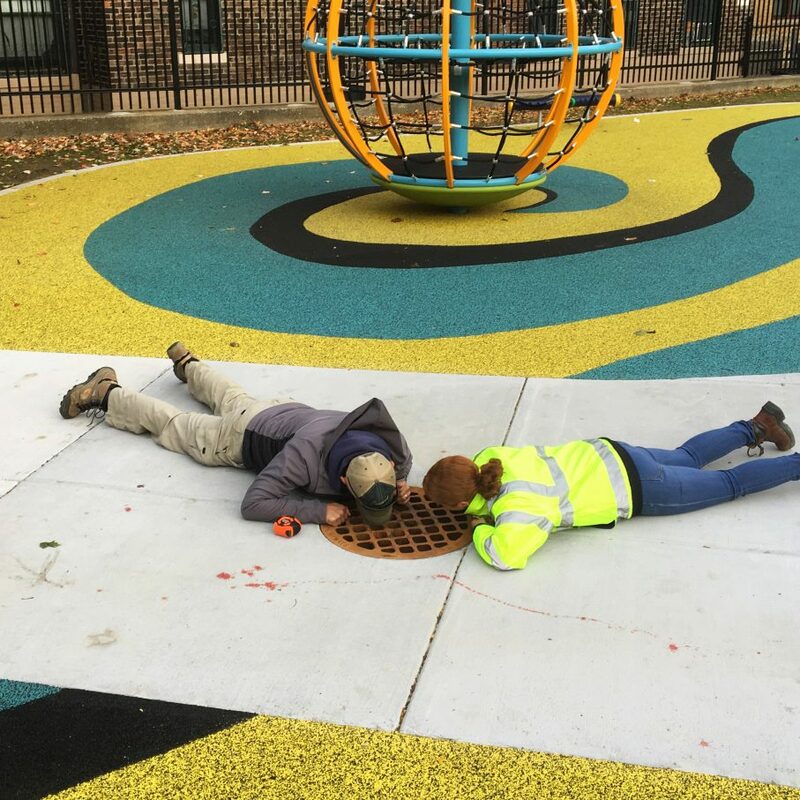 These projects are important pilot projects, as BPS plans to incorporate green infrastructure into its 10-year strategic plan for educational programming and capital investments. 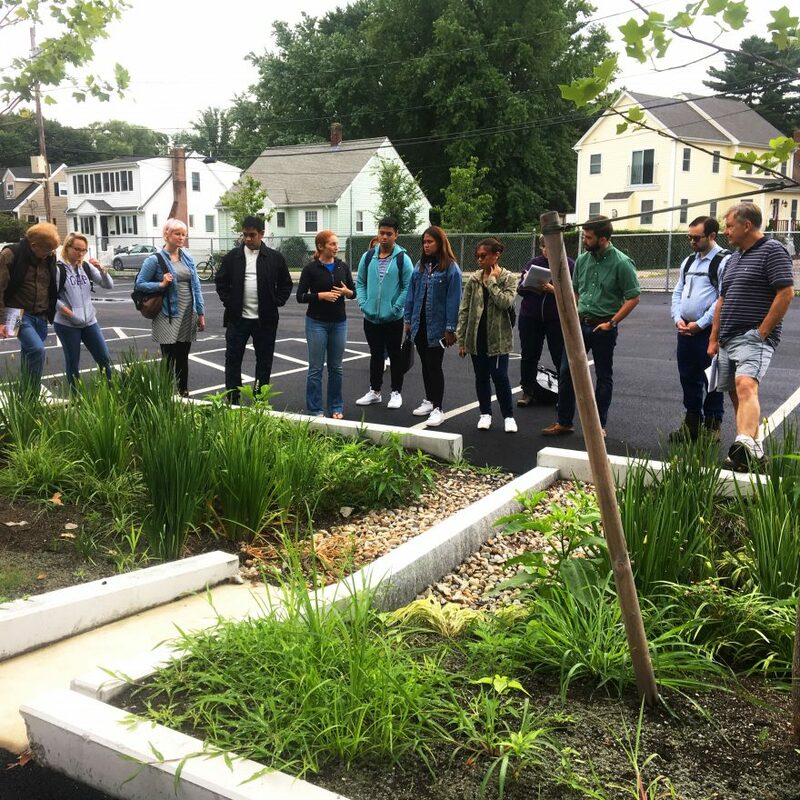 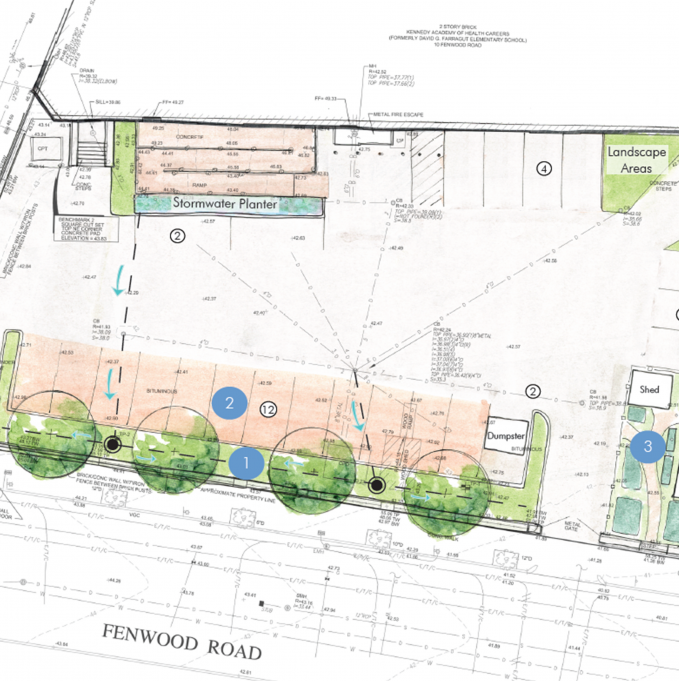 We led the design team with support from Offshoots, Charles River Watershed Association, and Bryant Associates. 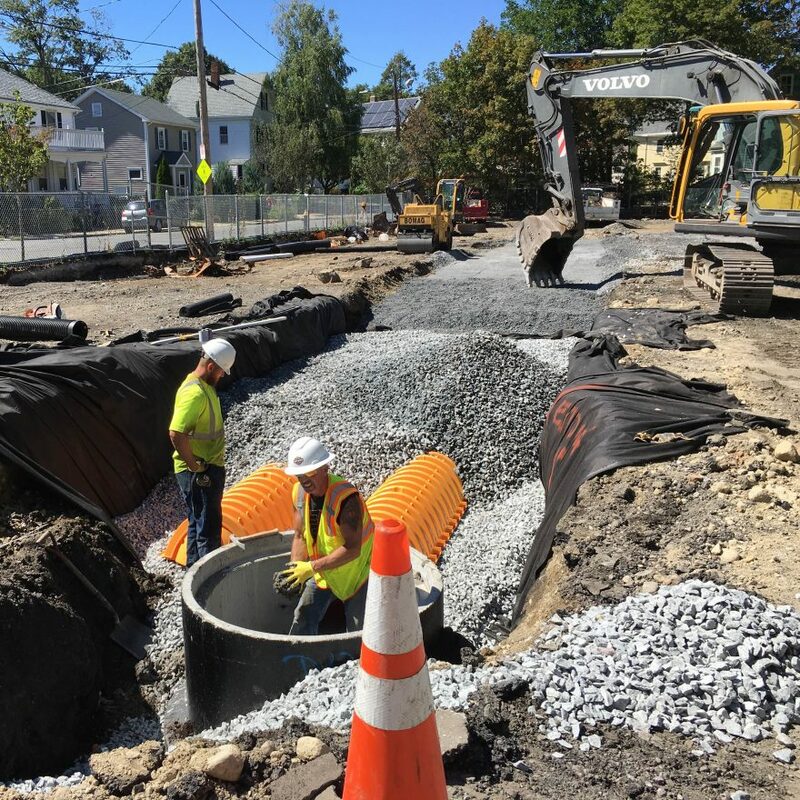 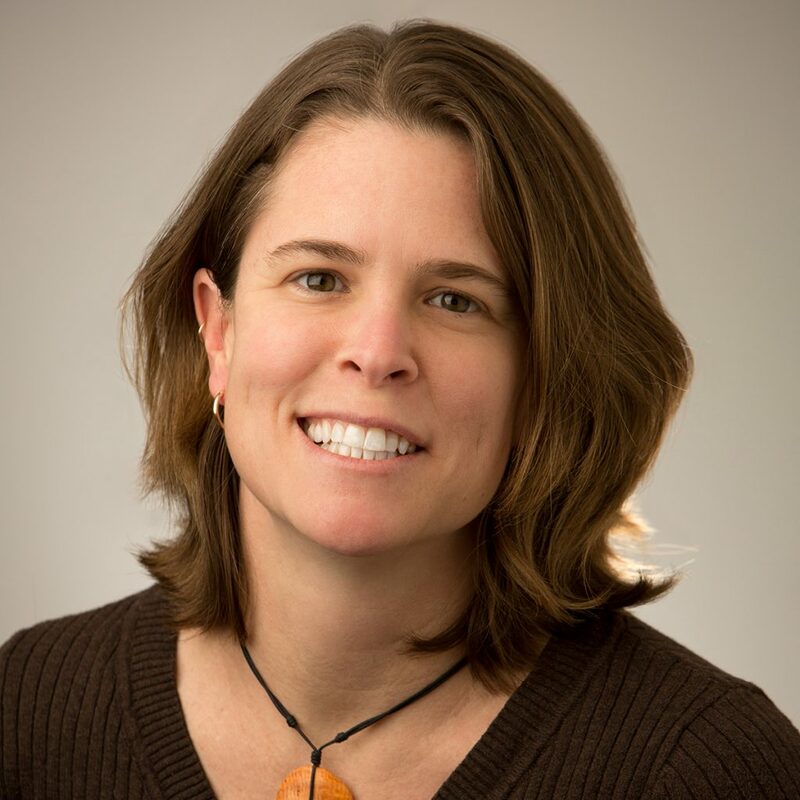 The project won a 2015 Stormy Award from the New England Stormwater Collaborative. 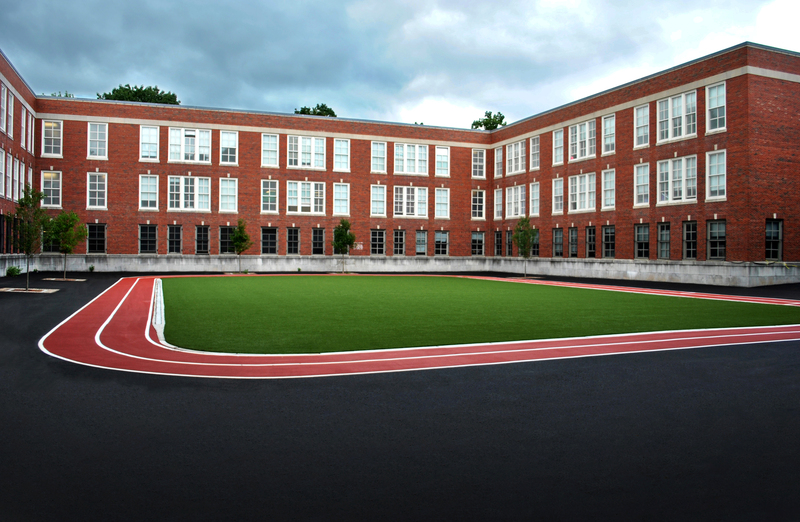 Construction Contractors: Tasco and Metro Equipment Corp.
Boston Mayor Walsh attended the ribbon cutting at the Irving in October to debut what he called Boston’s “flagship” school.